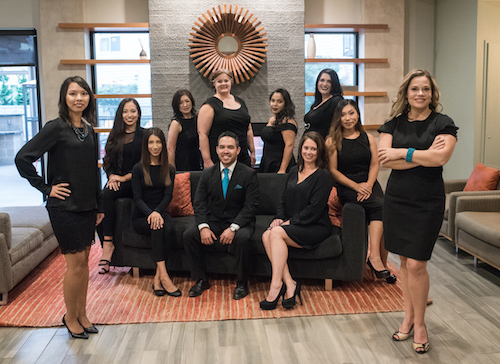 A full-scope optometric clinic devoted to providing quality eye care in a comfortable, yet stylish setting. Our mission statement is to contribute to a lifetime of visual health and wellness, improving each patient with the highest possible quality of vision and subsequent quality of life. Regular eye examinations are an important part of maintaining your best possible vision and eye health. At Vivid Eye Care the visual needs and wellness of each patient will always be our priority. Our new website provides a wealth of information about vision and eye health. Explore our site to learn about the professional eye care services we offer to current and new patients. 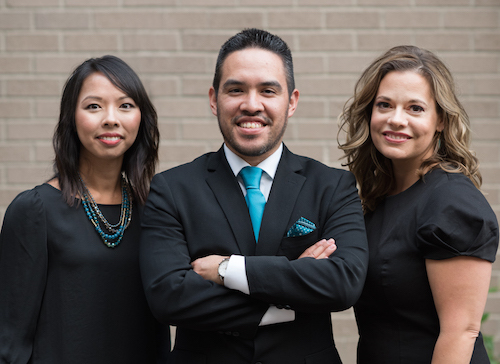 Come meet our doctors, Dr. Jessica A. Lynch, Dr. Linda Tran Knutson, and Dr. Oliver Rosales. Call or email us for an appointment today. We’re here to meet your eyecare needs. We hope you enjoy our website. When you purchase your annual supply of contacts lenses through Vivid Eye Care you will receive: *50% OFF RayBan sunglasses! *Free shipping to your home. * Three months of follow-up care, should you require it. * Emergency lenses should you forget/lose them, etc. * Easy online ordering at our website. Parking is available in the Tessera parking structure! Coming north on 231st Ave: Turn right onto Cherry Drive. Drive one block and turn left onto 229thAve. Parking structure will be on your left. Customer parking is along entire south wall and is marked as “Retail Customers”.